The main problem that comes with age is frailty. As we age, we lose our muscles, bone density, joints become stiffer, and a loss in coordination. All of this makes aged people more vulnerable to various physical and mental health disorders. Physiotherapy can help reduce the impact of ageing on the body. Arthritis: It leads to disability in older people. It limits the movement of joints, makes them stiff, and causes difficulty in simple activities like walking. Incontinence: This is another common problem that develops with age. Older people have weaker bladder muscles and they urinate even before reaching the toilet. Stroke: The chances of stroke significantly increase after your 50s. A stroke occurs when blood flow to your brain stops, and brain cells die. Falling: Older people have less sense of coordination and even less joint and muscle strength to balance while walking or some activity, and thus are more prone to fall. Most of the problems associated with age are also caused due to inactive lifestyle and poor eating habits. If people exercise regularly, many risks associated with diabetes, inflammatory diseases, heart attack, etc reduce significantly. Many problems related to balance/fall and arthritis etc are directly related with poor lifestyle and poor diet. People who exercise regularly have far lower risk of bone and joint related diseases. Physiotherapy is not only useful in treating physical conditions. It is also good for people suffering from mental diseases like Alzheimer’s or depression. Physical exercise lifts the mood and is proven beneficial for people suffering from mental diseases. In other diseases like incontinence etc, physiotherapy can again be of great help. Your physiotherapist can recommend you kegels or other form of exercises to make your bowels and bladders strong. 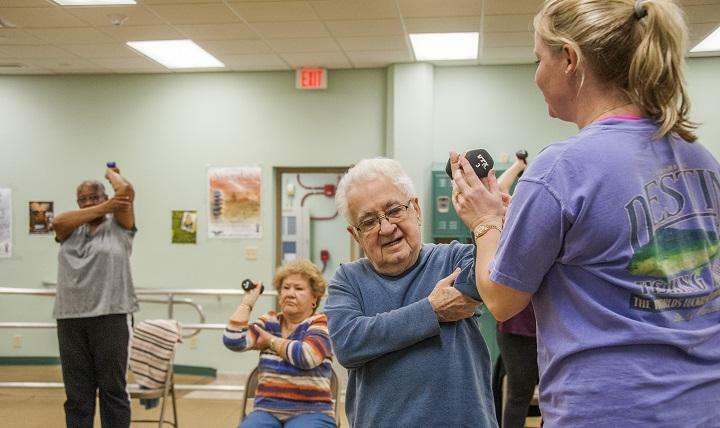 Physiotherapy is thus very helpful for treating and preventing diseases in old people.